In a move that not only solidifies its presence as a major content hub during worldwide events but fires across the bow of its social networking rival Twitter, Facebook has today launched a dedicated Olympic hub that provides easy links for Pages owned by athletes, teams and the sports that they will be competing in. Announced at a dedicated event in London this morning, Facebook’s new Olympics hub invites users to Like the Page in order to receive the very latest updates from inside the Games. It features navigation options to view more from the people and teams attending the world’s biggest sporting event but also to view news and updates centring on specific sports. Users are invited to Like the athletes, teams and sports they wish to receive updates about, bringing Olympic content into their News Feed. 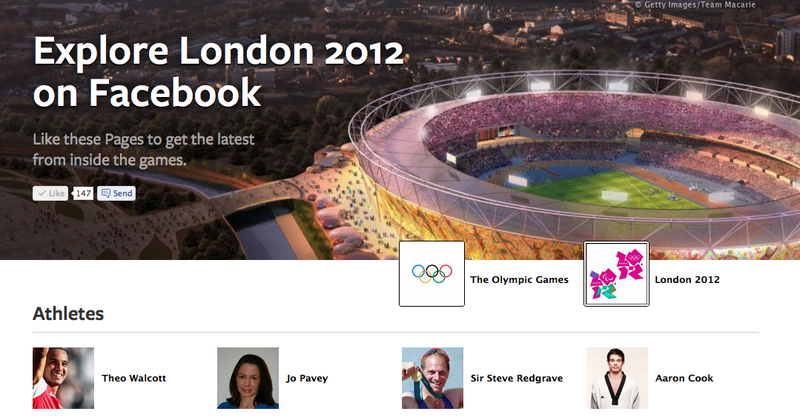 Currently, there are only a few hundred athletes on the site, but more will be added before the Games commence in July. Facebook’s new Olympic-branded portal comes just a week after Twitter announced it would be doing more to promote brands and updates associated with them. Twitter explained that it would be providing NASCAR — it’s first sports league partner — with featured Tweets, photos and perspectives from NASCAR drivers and their families, crews and commentators, ccelebrities and fans – all displayed a single timeline. To visit the page, users could click the #NASCAR hashtag or find it in relevant search results, on both Twitter.com and Twitter’s mobile website. Both Facebook and Twitter are encouraging users to visit dedicated pages in order to gain more from their services, showing to brands and businesses how it can encourage interaction and spread content virally. Interestingly, Facebook’s new page is not a result of an official tie-up. While the International Olympic Committee (IOC) has attended today’s launch, it isn’t an official partnership. Instead, the IOC has merely “helped” Facebook with its new Olympic portal, particularly as the social network already had plans to launch a page of a similar nature. You will also notice how clean the page is, that’s because there are no adverts. 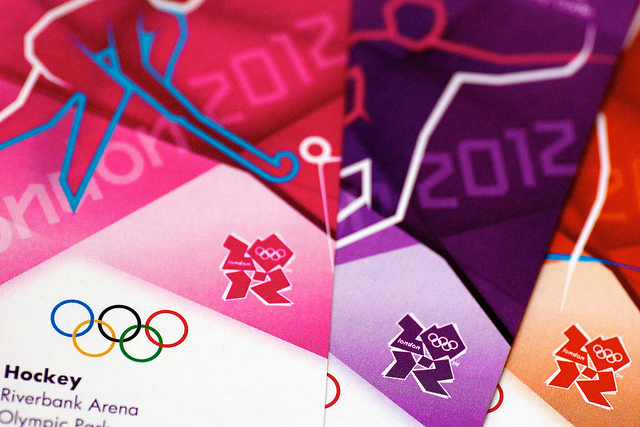 As with many modern sporting events, the Olympics has strict sponsorship deals. Because Facebook’s new portal is not an official partnership, it isn’t allowed to benefit financially from running advertising alongside Olympic-themed content. Acccording to Robert Scoble, both Twitter and Google+ will feature similar pages on their networks, suggesting that we may be able to see what both companies have planned for their dedicated Olympic portals very soon.